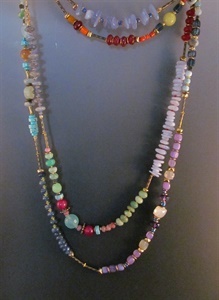 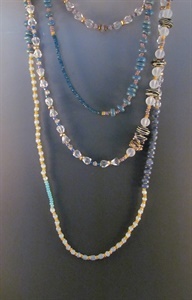 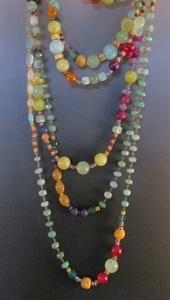 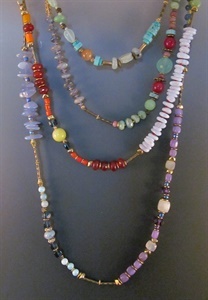 Necklaces made in varying lengths. 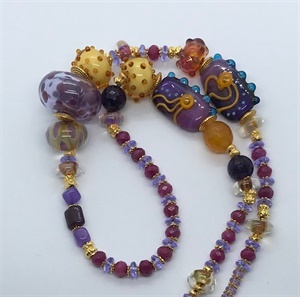 The longer Lanyards are designed to wear in multiple layers around the neck and as Bracelets as well. 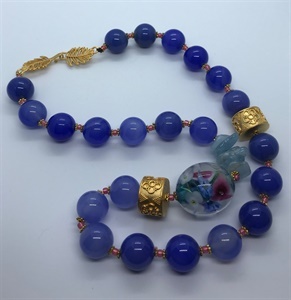 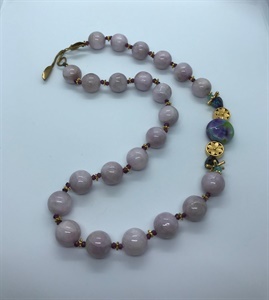 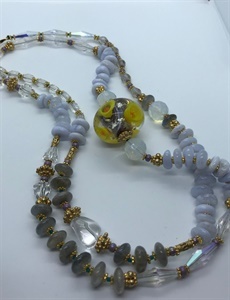 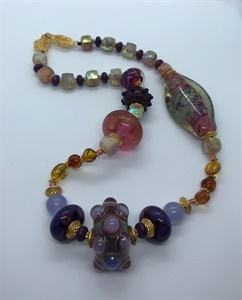 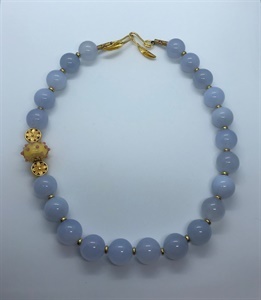 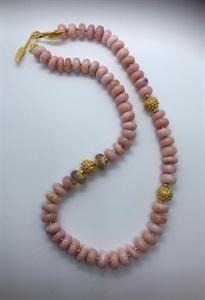 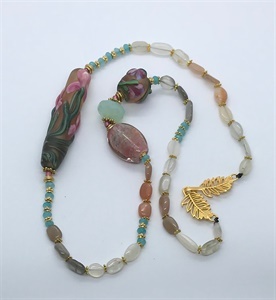 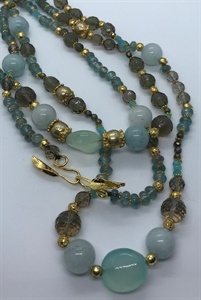 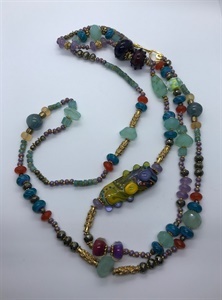 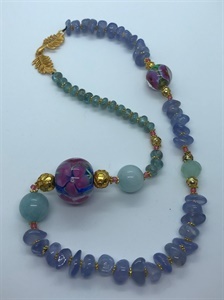 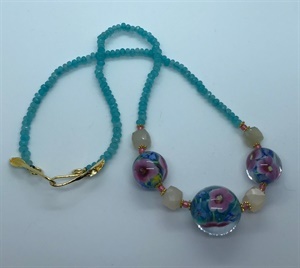 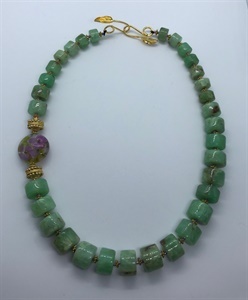 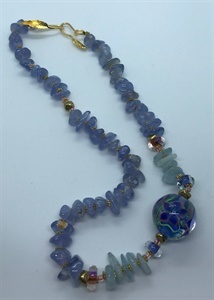 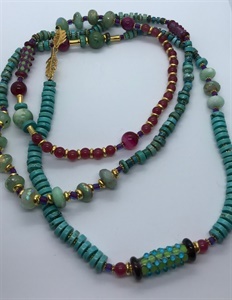 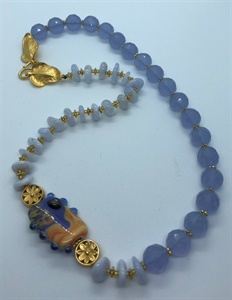 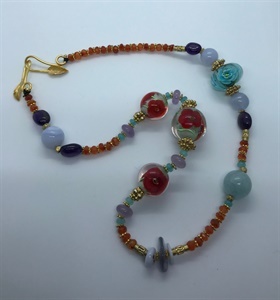 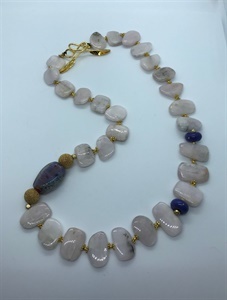 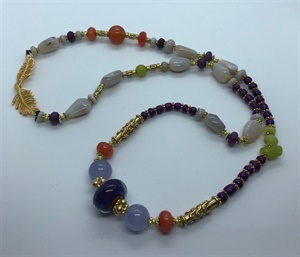 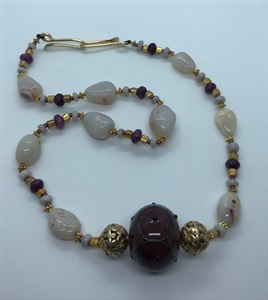 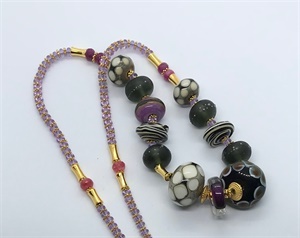 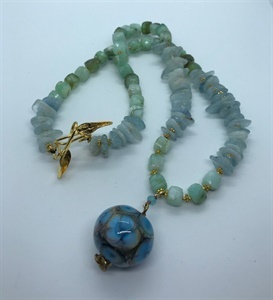 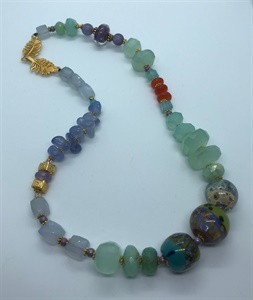 Each Lanyard created with a beautiful drape made of combinations of Gemstones, 24K Vermeil Gold-plated Beads, Sterling Silver, Lampwork Beads and handmade Beaded Beads. 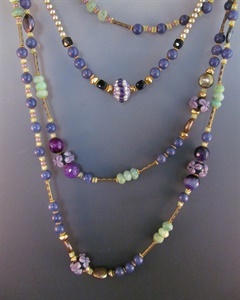 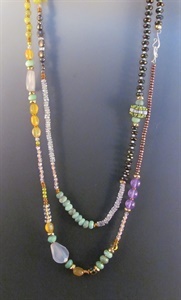 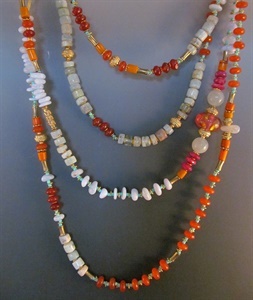 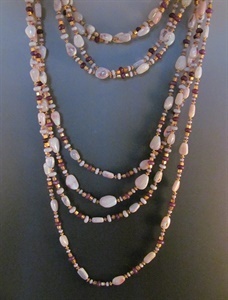 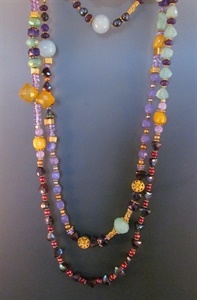 All created to wrap around as Necklaces and multiple wraps as Bracelets.